We are Habitat for Humanity Newfoundland and Labrador Inc., an affiliate of Habitat for Humanity Canada. Incorporated as a charitable non-profit organization in Newfoundland and Labrador in May 1994, Habitat NL assists low income families achieve home ownership by mobilizing local communities, volunteers, materials and financial resources through supportive, wide ranging partnerships. To select families in need of adequate, suitable and affordable housing and to nurture ongoing relationships with habitat homeowners. To mobilize kindred agencies, church and service organizations, local communities, volunteers, Habitat families, and the business community in the provision of land, labour, materials and financial resources. To build modest homes in keeping with Habitat principles and local community standards. To promote the ideals of Habitat for Humanity and the ongoing sense of commitment and community amongst the partnerships. 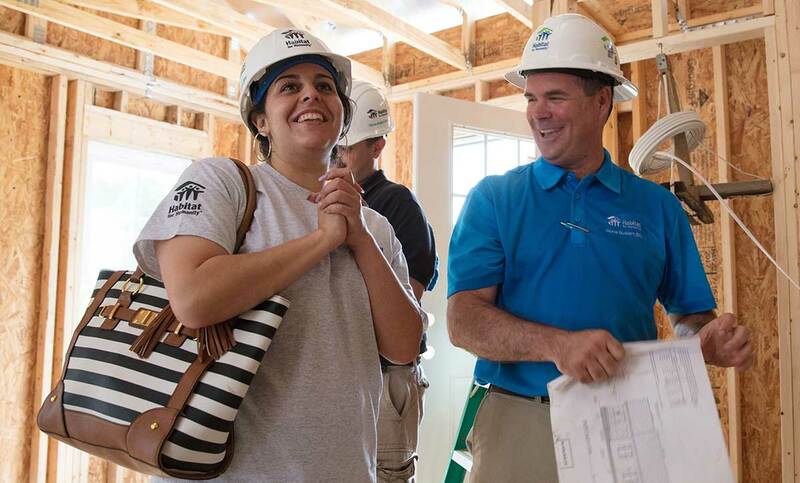 Through our unique affordable home ownership program, we offer families a hand up, empowering them to build strength, stability and self-reliance.